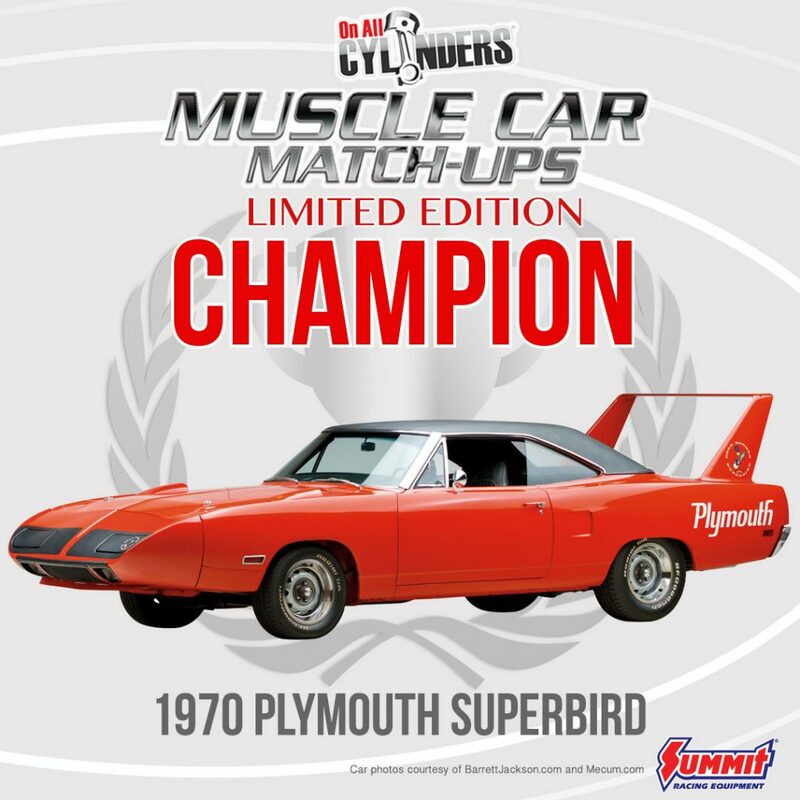 In a somewhat surprising all-Mopar final, the 1970 Plymouth Superbird defeated the 1968 Dodge Hemi Dart by a relatively narrow margin to capture the crown and win the 2019 Muscle Car Match-Ups tournament. This year’s MCMU featured rare, limited-edition cars — icons, really. Every contestant was a legend, and each round featured some epic showdowns, the winners of which were determined by your votes on Facebook and Instagram. Coming off the closest vote in MCMU history against the fellow ’68 Hemi-powered Plymouth Barracuda which forced us to conduct a second vote to determine the winner, the 1968 Hemi Dart put up a noble fight against its cone-nosed Mopar cousin. But in the end, the Superbird was, well, super. You could argue the Superbird is one of the most recognizable muscle cars ever, with its distinctive nose cone and massive rear wing. 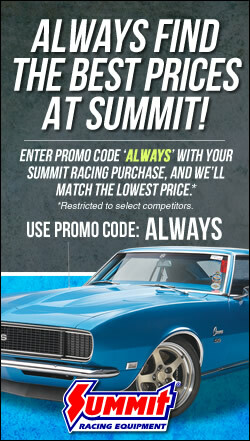 It could be had with a 440 V8 (either with four-barrel or six-barrel carb setup) or the vaunted 426 Hemi. But it was a car fit for a king. A Road Runner turned into a bullet. Plymouth modeled the 1970 Plymouth Superbird after the 1969 Dodge Daytona which was the first-ever car to crack the 200-mile-per-hour barrier in NASCAR. In 1970, the Superbird won eight NASCAR races and competition rules were eventually instituted to slow down the Hemi-powered birds. Because of their rarity, Superbirds sell for small fortunes at auction today. 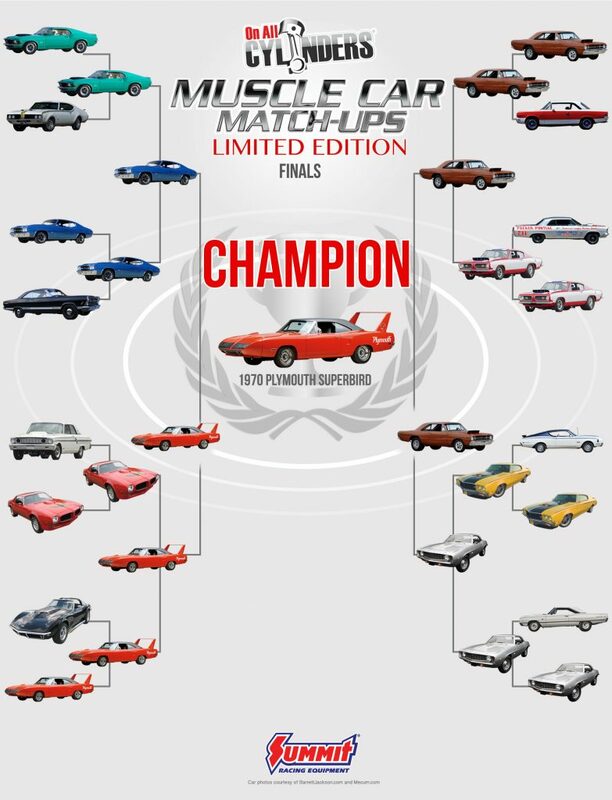 So, our Mopar friends had much to celebrate, as the Barracuda, the Dart, and the eventual winner all appear to be cars which could have won this tournament easily in a competition where nothing can be taken for granted. The ’70 Superbird was knocked out in the Elite 8 of the 2016 MCMU by the ’69 Yenko Nova (the same Yenko Nova that knocked out the ’68 Hemi Dart in the 2015 campaign). In 2015, the first year it appeared in our tournament, the Superbird was outgunned by the 1965 Shelby Cobra 427. Which begs the question: What will happen next year? What should we do for 2020? What kind of vehicles will race for the crown? There’s only one way to find out. See you then.